Review With a starting price of £249, the Honor 7 is a quality phone that offers astonishing value for money: and it could be a genuine game-changer for how people buy phones. Not only is it (comfortably) the standout product in its price range, it also has the kind of features associated with much more expensive models, and a few unique tricks of its own that make it nicer to use. It’s made by Huawei, although you wouldn’t know it from looking. The front is entirely branding-free, and Honor is the only branding on the back. Huawei is the world’s number three phone maker by volume but has yet to make an impact in Western markets. 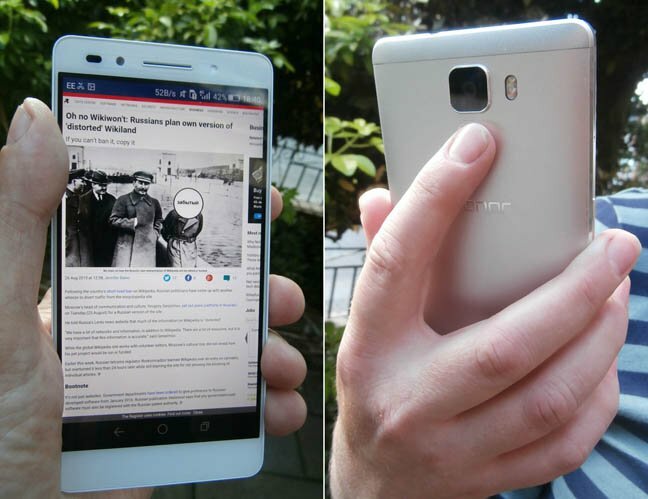 I suspect the Honor 7 will change this. 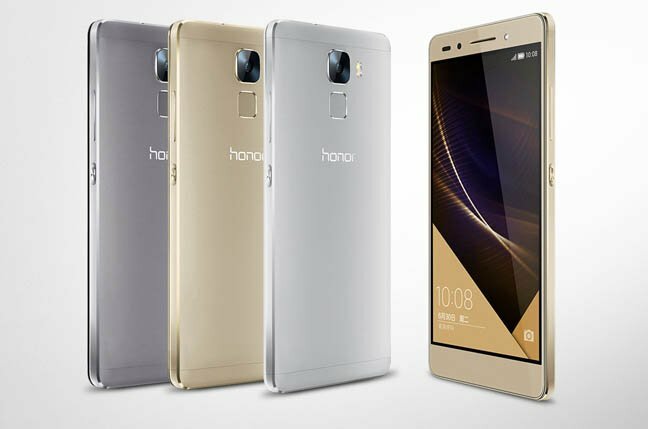 Essentially, the Honor 7 is a ‘droid in a solid, high quality aluminium body, with a 5.2-inch HD display. The buttons are carefully milled giving a premium well-defined feel. Flagship features, such as a fingerprint sensor, a 20MP camera, Infra red blaster, and rapid charging, are all in a mid-range device, many of these for the first time. The rear-mounted finger sensor pad has a trick up its sleeve: it can interpret swipes as gestures, making the Android notifications pull-down and app switcher easy to use. In addition, there’s a “spare” button on the left side of the phone that can be programmed to accept three inputs (click, double click and long press) to start apps or perform shortcuts. There’s another neat trick, too: it can run two SIMs at once, although one will be in the 2G slow lane, and you sacrifice microSD card expansion, if you want to run a second SIM. Still, it’s nice to have a dual-SIM phone that isn’t a landfill bargain basement ‘droid. The Honor 7 boasts 3GB of RAM and with its 3100mAh battery would make it through to a second day, even with two SIMs. Certainly, this is a phone with excellent battery life. The IPS 1080x1920 panel held up well outdoors. Benchmarks confirm it’s off the leader pack but not so far as to be a handicap. The Honor’s giant parent company, Huawei, makes most of its money from network equipment, and has thrown some of its knowhow at its new handset division, such as smart switching between Wi-Fi and mobile data. To keep the price down, Honor will be sold online and through one retailer per market, as well as one operator (it’s snared Hutchison’s 3 in the UK). Next page: So. What’s it like?